Man Feeling Freedom Walking In Forest Near Lake In Rainy Day. 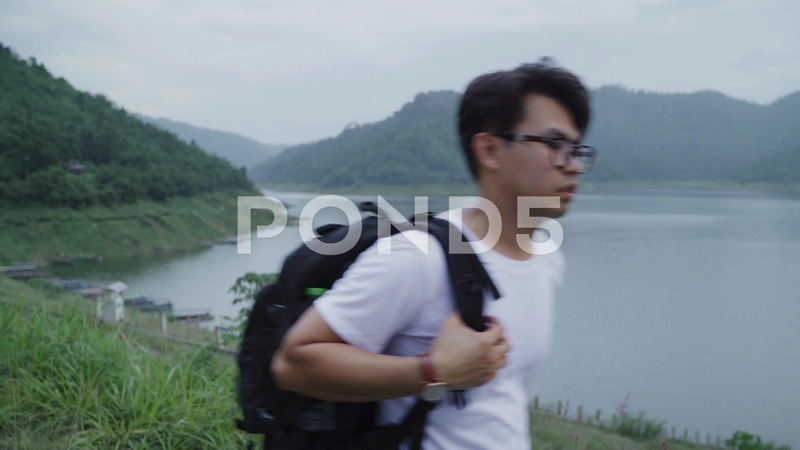 Description: Hiker backpacker man on hiking adventure feeling freedom walking in forest near lake in rainy day. Lifestyle men travel relax concept.